About 1911 Levi J. Clements, purchased the big sawmill at Ray City, GA from W.F. Luckie and it became the Clements Lumber Company. The Clements Family had some experience in the sawmill business. The Clements brothers, Lucius J. Clements, J.I. Clements, and J.S. Clements, operated the mill; Lucius served as the General Manager. World War I brought an economic boom for the Clements’ sawmill operations. 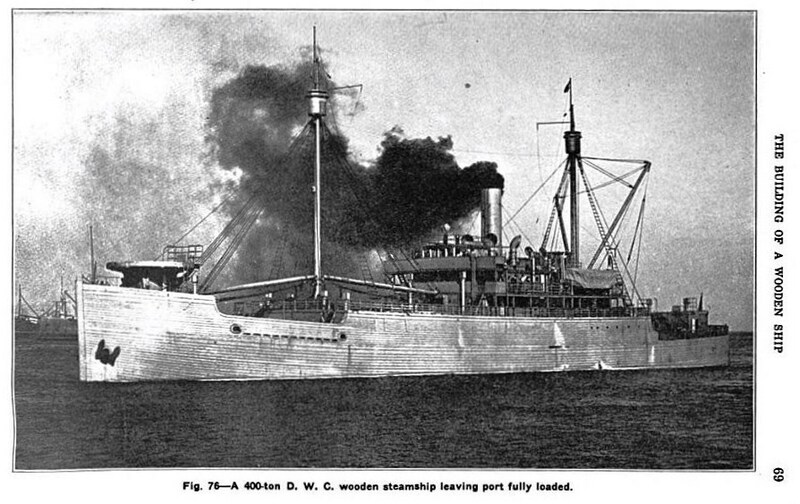 During World War I, Southern yellow pine was the most abundant of all ship materials and was extensively used in building wood ships along the Atlantic and Gulf Coasts. Lucius J. Clements continued to serve as General Manager at the Clements sawmill, although on September 19,1918, at the age of 37, he diligently registered for the draft for World War I along with other Ray City men. His cousin, Hod P. Clements had registered a year earlier. “When World War I broke out, the Clements’ boys, who are my cousins, sold lumber to the government to build ships, and made about half a million dollars,” he said. According to Clements, the price of lumber rose from $8 a thousand feet to $120 a thousand feet in a year. Nashville Herald. Feb 6, 1923.. Clements Lbr Company sold out at Ray City. Nashvillle Herald, Nashville, GA. pg 1. World War I Selective Service System Draft Registration Card. Lucius J. Clements. Registration Location: Berrien County, Georgia; Roll: 1556961; Draft Board: 0. Washington, D.C.: National Archives and Records Administration. United States of America, Bureau of the Census. Fourteenth Census of the United States, 1920. Washington, D.C.: National Archives and Records Administration, 1920. T625, 2,076 rolls. Census location: Rays Mill, Berrien, Georgia; Roll: T625_235; Page: 4A; Enumeration District: 22; Image: 288. Davis, C. G., Clarke, T. W., Drown, F. S., & United States Shipping Board Emergency Fleet Corporation. (1918). The building of a wooden ship. Philadelphia, Pa: Industrial Service Section, United States Shipping Board Emergency Fleet Corp..
Ray City Sawmill. It has the name Ray City Lumber Co. stamped into the coins, in denominiations of 5 cents, 10 cents, and 50 cent I dont believe these tokens were used at the Luckie Sawmill or the Clements Lumber Mill either. Did Clements sell out to the owners of the Ray City Lumber Co? No, the Clements sold out to Jackson Bros. in 1923. The Jackson Brothers, owners of the Jackson Lumber Company purchased the entire mill operation from Clements Lumber Company for $75,000 in cash in what was described as “one of the biggest business deals pulled of in this section in some time.” The Jackson Brothers were no strangers to big business deals, and were among the wealthiest businessmen in the south. Among their other Georgia investments were Tallapoosa Mills in Tallapoosa, GA and they were major stockholders in Couch Cotton Mill of Atlanta. Clements Lumber Company and Jackson Bros. Lumber Co. both had tokens with their name embossed. So did Nix Lumber Co. I don’t know if Luckie Lumber had tokens. J think there were other smaller sawmills, but do not have documentatoin. Can you send photos of these tokens? I’m the former Mayor of Ray City, and interestingly enough I actually found one of those Clements Lumber Company “5 cent” tokens a couple of days ago right in front of the old Clements Store in Ray City, where they are replacing the sidewalks. I just happen to be pulling out of the driveway and looked down and saw something that looked like a coin. I got out and sure enough it was a 5 cent token from Clement Lumber Company. This is a great find and a big part of Ray City’s history. My grandfather was Joe S. Clements, I remember my father used to have some coins. Played with them when I was young.